Artistic Awards Universal Awards, located in Bergen County, New Jersey is the supplier of quality, reasonably-priced trophies, plaques, engraving, embroidery, sports apparel and promotional items that reflect your fine taste. 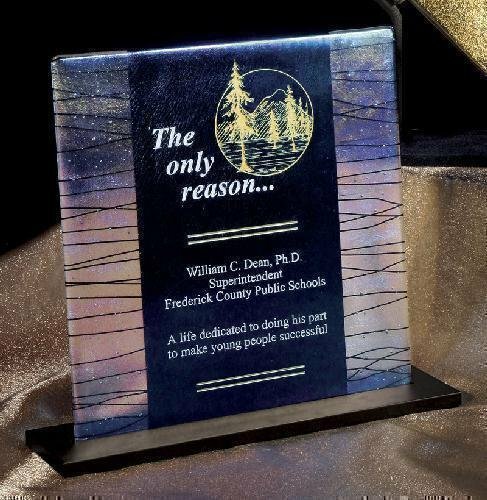 We also make custom executive achievement and recognition awards as well as athletic awards. 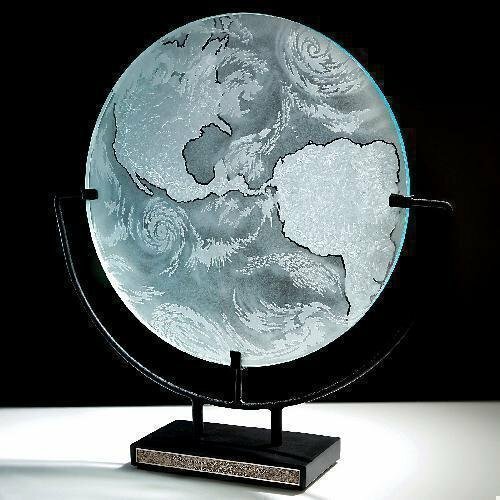 Artist Kurt McVay hand crafts and signs his iridescent art glass award creations which are as dramatic as they are beautiful. Includes stand. 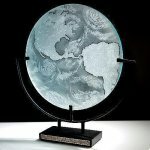 McVay art glass is laser engravable.